Garlic has been used as an herbal remedy for thousands of years. Garlic has antibiotic and antimicrobial properties. During World War I, the British used garlic to triage wounded solders. 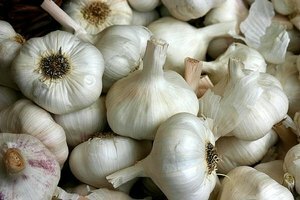 The Russian army also used garlic during WW II, in lieu of antibiotics. Garlic can be consumed raw, cooked or even as a powder. This bulb works with the body’s natural defenses to stop the growth of infection in a wound. Garlic boosts immunity and is commonly used in herbal medicine to treat wounds and infections. Wash the wound with warm soapy water. Grate or mash up to 20 cloves of raw garlic with a sterile food grater or kitchen mallet. Mix the garlic with enough water to form a paste. Spread the paste on a piece of sterile gauze. Apply the gauze to the wound and wrap a piece of sterile bandage around it. Keep the bandage on the wound for up to 2 days. 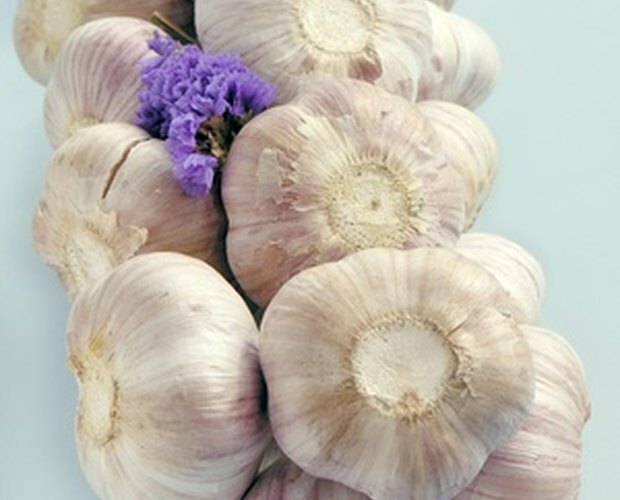 The garlic will fight any infection and reduce the pain of the wound as well. Wash the garlic paste from the wound with warm, soapy water. Put fresh garlic paste on a new piece of gauze and re-wrap the wound with fresh bandage. Continue this process until the wound begins to heal and all signs of infection are gone. Mix 1 quart of apple cider vinegar with 1/2 ounce of grated horseradish root and 4 ounces of garlic. Set the mixture aside in a warm location for at least 12 hours, shaking it often to mix the ingredients. Move the mixture to a cool location. Let it sit for another 12 hours. Strain the mixture through cheesecloth and place the liquid in a jar. 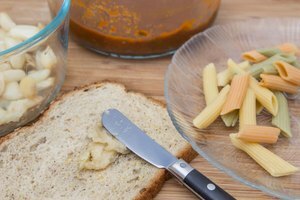 Throw away the solid, strained pieces of horseradish root. Keep the solution in the refrigerator until needed. Take 1 tsp. of this mixture three times each day to strengthen your immune system and fight infection. The internal wound solution also can be used to wash a wound. If you cannot stop a wound from bleeding by applying pressure, stitches may be necessary. Seek medical help.